Repatriations passing through Wootton Bassett will officially end on 31 August. 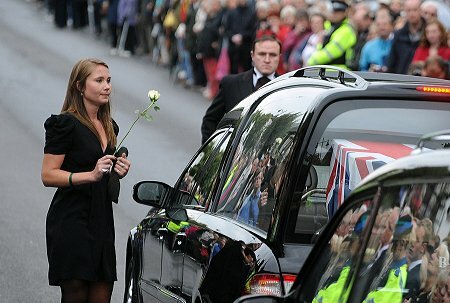 These pictures show Amy Tinley, the fiancée of Lieutenant Clack, 24, laying a flower on the car carrying his coffin as it passed through Wootton Bassett High Street. The 164th time a repatriation courtege has passed through the town.